In poetic prose, author Na’ima B Robert brings to life the joy and hope inherent in Muslim weddings as families, friends and communities come together to celebrate in simlar and different ways across the world. In the book, we are taken to weddings in Pakistan, Morocco, Somalia and Britain. In each celebration there is music and dancing and feasting; and in Pakistan the groom arrives on a beautiful white horse. While essentially a non-fiction book, the text concentrates on bringing the different cultural practices to life, evoking the sights and sounds, and the delicious aromas of traditional dishes – in Morocco ‘enough to feed the multitudes who will attend the feast’. Shirin Adl’s exuberant collages complement the text perfectly. There are so many details that both echo the text and extend it. Whilst the weddings are steeped in tradition, the illustrations remind readers that we are very much in the present: for example, alongside the description of the Moroccan ‘waleemah’, during which the bride changes her dress seven times, guests are shown holding up their mobile phones to take photographs. The description of the British wedding emphasises the ‘wonderful mix of different backgrounds, different faiths, all there to witness and celebrate the start of a new love story’ – and I love the illustration showing the ‘joining of two hearts’ that was probably very tricky to ceate and looks beautifully simple, in red and blue yarn. I also love that the book isn’t just about the actual wedding ceremonies but also encompasses the commitment necessary both beforehand and afterwards from not just the bride and groom but their wider families. Both the text and illustrations get the balance just right between a sense of feet-on-the-ground reality and dreams for the future – so it ends perfectly with the happy couple, wherever they may be from, heading off on their new journey together on a flying carpet… Mabrook to them and indeed to Na’ima and Shirin for their wonderful book. Read my PaperTigers interview with Na’ima B Roberts (2013). Read my PaperTigers Q&A and Gallery feature with Shirin Adl (2011). Frances Lincoln, Janetta Otter-Barry Books, Mabrook! 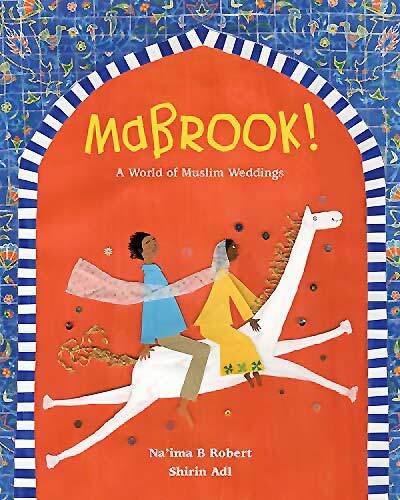 A World of Muslim Weddings, MWD book reviews, Na’ima B. Robert, Shirin Adl. Bookmark. Thanks for this in-depth review! In times of Trump books teaching us about Muslim culture are more necessary than ever. Will share on Twitter. 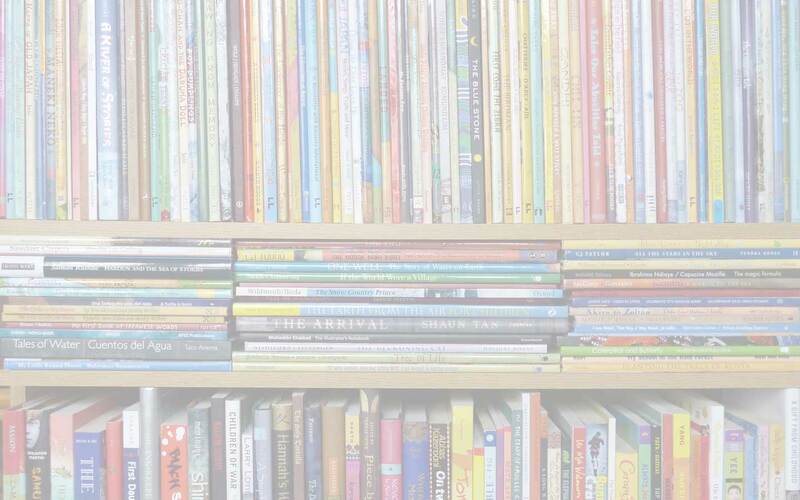 Hopping over from the DiverseKidLit linkup. Thank you, Svenja. I so agree with you! Weddings are so festive so most of us enjoy seeing them even if we don’t know the people. This book offers a chance to discover how Muslims celebrate weddings around the world. Yes, it’s true, isn’t it? There’s something universally joyous about a happy wedding, however it is celebrated.